Where Do You Want to Party While Watching Super Bowl LII? 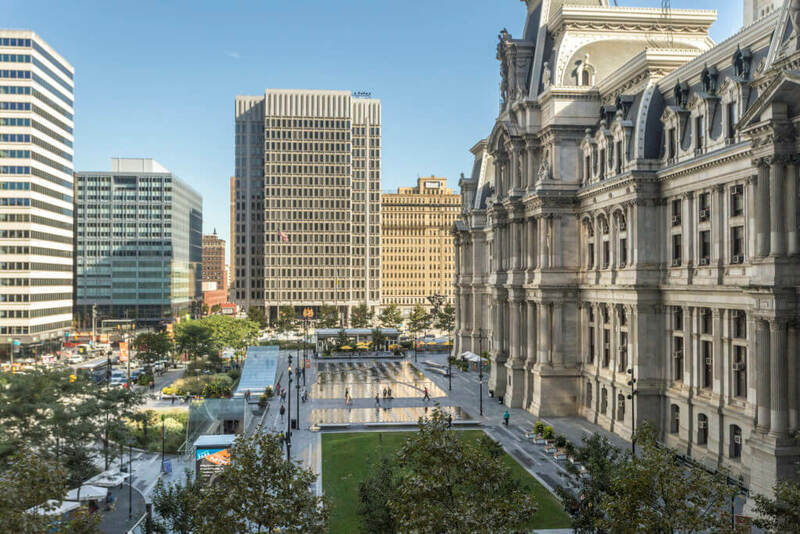 Maybe you’ve heard – we’re pretty excited in the Philadelphia area about our Eagles football team making it all the way to Super Bowl LII in Minneapolis. That means many people will be partying with an extra level of intensity this Sunday for the big game. Here, we showcase a few properties that are perfect for hosting anywhere from a few friends to a few dozen revelers. Heck, some of these places are large enough that you could even let a few Patriots fans in the door. And corral them at the other end of the house, if necessary. Sonrisa behind its gated entrance. 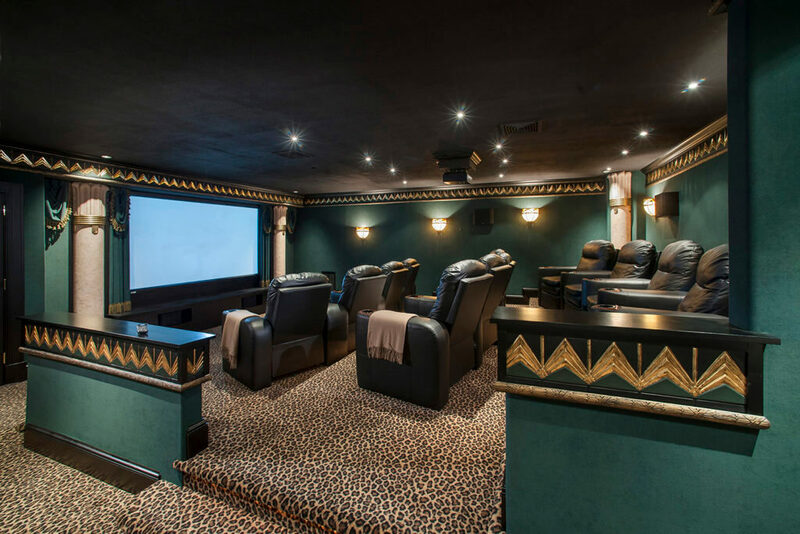 The home theater is a great place to watch the game. Built at a cost of more than $8,000,000, this truly is a party palace, designed by its original, philanthropically-minded owners to accommodate huge crowds at fundraising events. 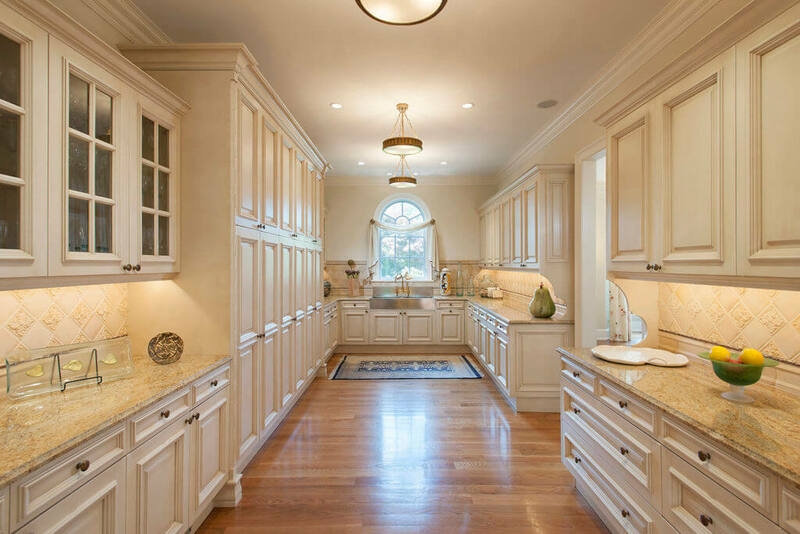 As such, it has a kitchen and butler’s pantry that is more than ready for your Super Bowl caterer to crank out a smorgasbord of food. 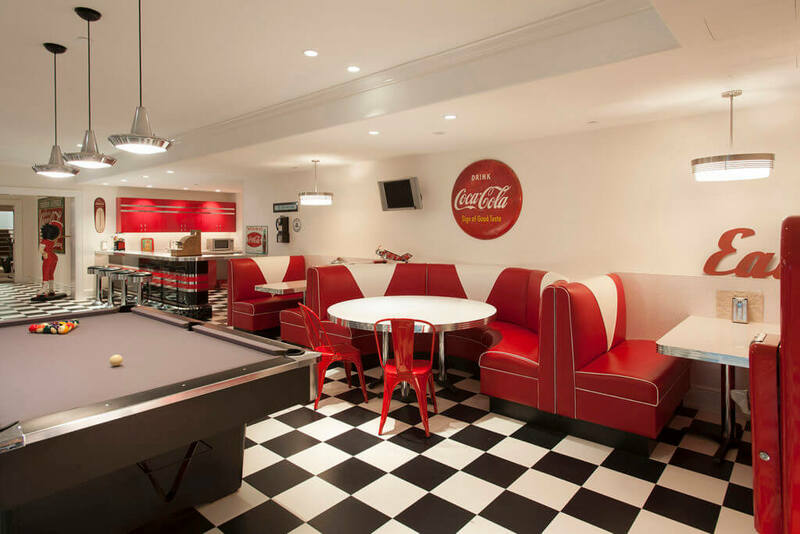 While the formal rooms upstairs may feel, well, a little formal for this type of gathering, the lower level has a diner-style soda fountain with banquette seating adjacent to a home theater where people can watch the game on the big screen. The theater, appropriately for our hometown team, is finished in shades of green. 4BR/5.3BA/14,352SF. Offered at$4,895,000. If a home like Sonrisa is simply too much, we suggest heading 30 minutes east to Bucks County to this custom-built residence on 8 acres in New Hope-Solebury. 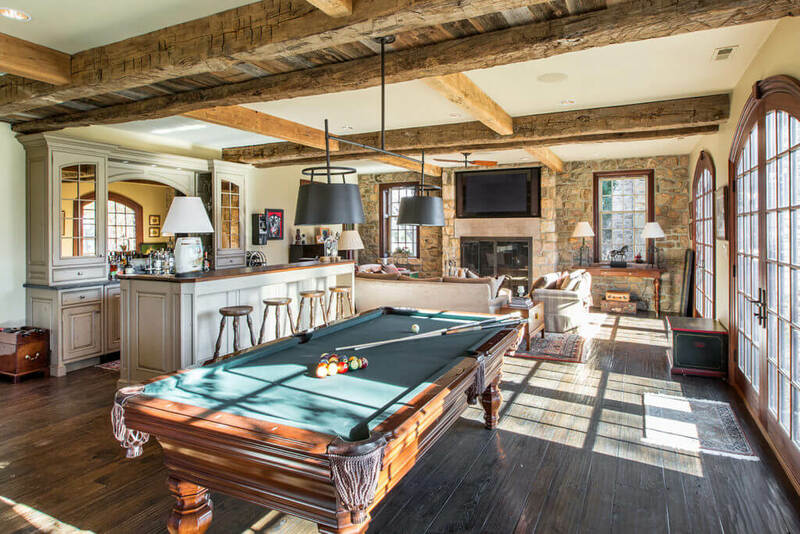 It has one of the best game rooms in town complete with custom bar, fireplace with television above for those who actually want to watch the game, a billiard table and card table. 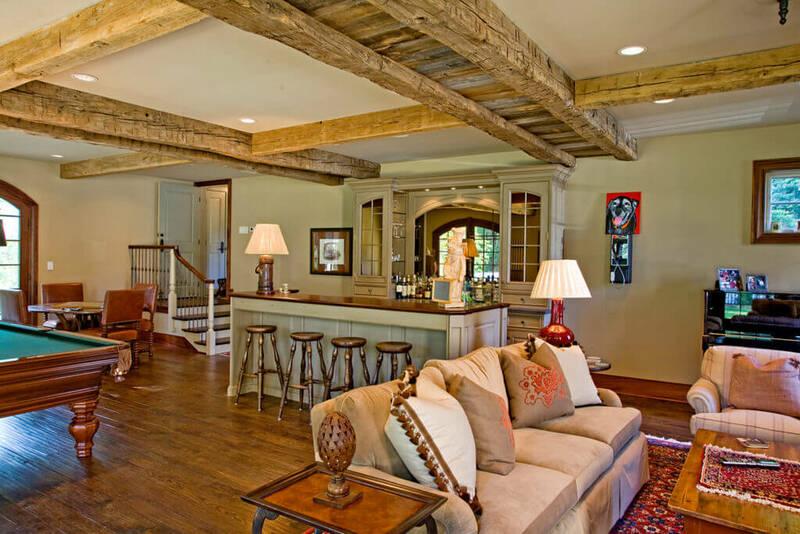 A fabulous “hang out” space and never better than for watching the Philadelphia Eagles in the Super Bowl! 6BR/5.2BA/8,046SF. Offered at $3,895,000. 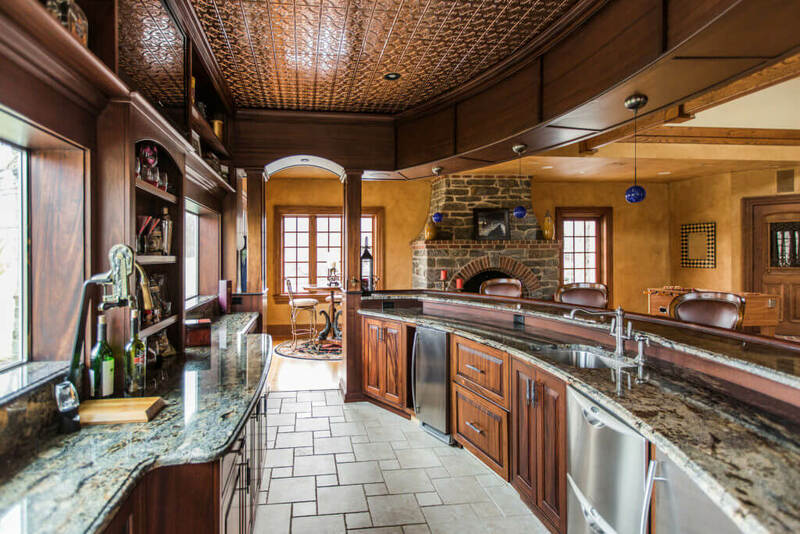 For a home that can handle parties both “plain and fancy,” look no further than this hidden residence a few minutes from New Hope Borough. 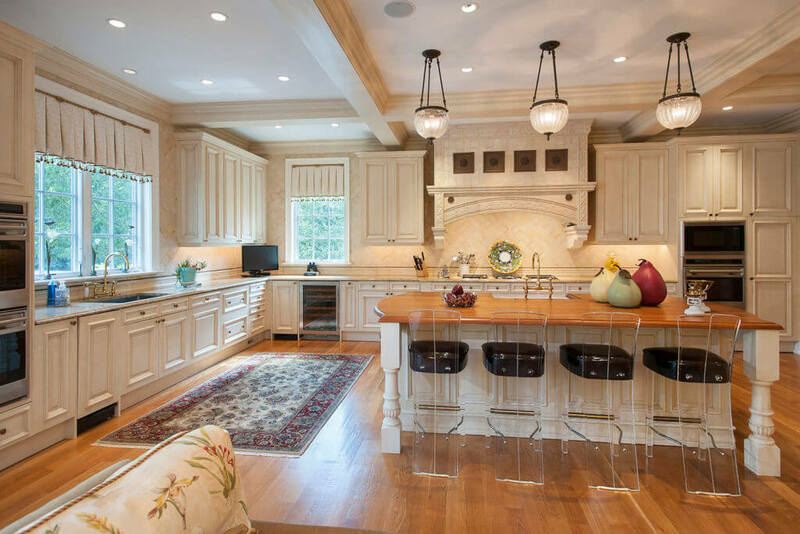 Its formal rooms are quite extravagant but the balance of the house is very livable. Adjacent to a casual dining area and family room space is a full-on tavern room with a bar that is best described as “professional grade.” The remainder of the room includes game tables and seating around a TV-viewing area. A large chef’s kitchen is nearby for all of your wings, guacamole and other snack needs. 5BR/4.3BA/7,625SF. Offered at $2,575,000. 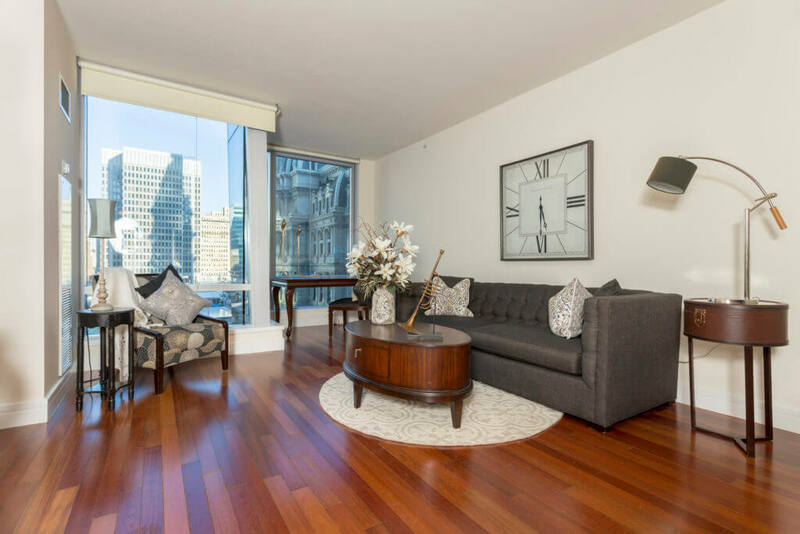 This apartment at The Residences at the Ritz-Carlton may be small, but it is very well located for observing (or participating in at street level) the sweet celebration of victory or the agony of defeat, whichever is our fate with Super Bowl LII on Sunday evening. 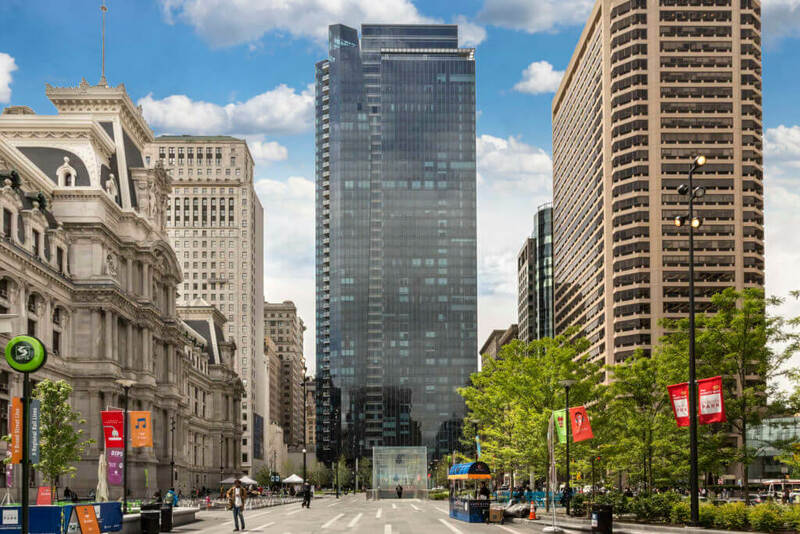 Its floor-to-ceiling windows overlook Dilworth Park and offer views of City Hall. While it does come equipped with a beautiful, top-of-the-line kitchen, why trouble yourself when you can order all the Super Bowl snacks you need via room service from the adjacent Ritz-Carlton Hotel? 1BR/1.1BA/949SF. Offered at $625,000.